TORY ELECTION FRAUD – THE PRIME MINISTER MUST BE QUESTIONED. SNP MP Pete Wishart has again written to the Metropolitan Police regarding the ‘Tory election fraud’ scandal, and has said he hoped David Cameron would be interviewed in the early course of the investigation as the leader of the Conservative Party after a recent television interview where he seems to concede the Conservative Party did break electoral law. Mr Wishart has provided a transcript of the Prime Minister’s appearance on the ITN Peston show as well as further comments from Conservative Members of Parliament. The scandal refers to allegations that the Conservative party have attempted to subvert electoral law in mislabelling ‘candidate’ expenditure as ‘national’ expenditure when declaring costs for transporting and providing accommodation for activists in marginal seats during the 2015 General Election – which is in contravention of the Representation of the People Act 1983. There are now 29 Conservative Members of Parliament under investigation over their election expenses. “At some point the Conservative Party will have to start to take these very concerning charges seriously. The cavalier dismissal of these charges as ‘mis-declaration’, stunts or honest mistakes simply isn’t good enough especially when 29 current Conservative MPs are under investigation for not correctly declaring the costs of transporting activists and putting them up in hotels. “It is only the Metropolitan Police who can investigate the national Conservative Party and determine whether there has been systematic attempts to subvert our election laws. As such I have sent them further details where the Prime Minister, who in taking responsibility for the national activities of the Conservative Party, seems to concede that electoral law has been broken. The Prime Minister must therefore be in line to be interviewed in the course of any inquiries. Enclosed is Pete Wishart’s further letter to the Deputy Commissioner of the Metropolitan Police. Further to my recent communication can I supply you with further details for my request for an investigation into the Conservative Party over their failure to correctly declare costs for transporting activists and providing them with accommodation during the 2015 General election campaign, in contravention of the Representation of the People Act? The Prime Minister describes these activities as possible “mis-declarations” in an attempt to minimise the very serious mislabelling of election expenditure. I do not need to remind you that our electoral laws are in place to preserve the integrity of our democracy and if the law was broken it is simply not good enough to try and to ‘resolve’ them when allegations emerge. Here is a link to the details of that interview. Secondly, according to the Huffington Post an unnamed Conservative Member of Parliament revealed that. This type of cavalier attitude to our electoral laws was also apparent when leading Conservative Party MP and former Defence Secretary, Liam Fox, called attempts to get to the heart of this matter as a ‘stunt’ on the Daily Politics programme on Monday the 23rd. I also do not need to remind you that there is less than two weeks before the 11th of June deadline in which the legal deadline for prosecutions will pass. Only the Metropolitan Police are in a position to fully investigate if there was a co-ordinated and systematic effort to subvert electoral law. Thank you for your consideration again. This entry was posted in Uncategorized on May 27, 2016 by petewishart. The Tory Party Must be investigated on election fraud charge. SNP MP Pete Wishart has today written to the Metropolitan police asking them to fully investigate the Conservative Party and its role in the serious allegations surrounding the campaign expenditure of Conservative Party candidates in the 2015 General Election. In a dramatic escalation in what has come to be known as ‘Tory election fraud’ first uncovered by Channel 4, Mr Wishart says that the Conservative Party central office, and its office bearers, must be properly examined to see if there was any systematic circumvention of electoral legislation. Claims centre on whether costs for transport and accommodation for bus-loads of Conservative activists to marginal seats should have been declared by candidates contesting their seats as part of their submissions as ‘candidate expenditure’. 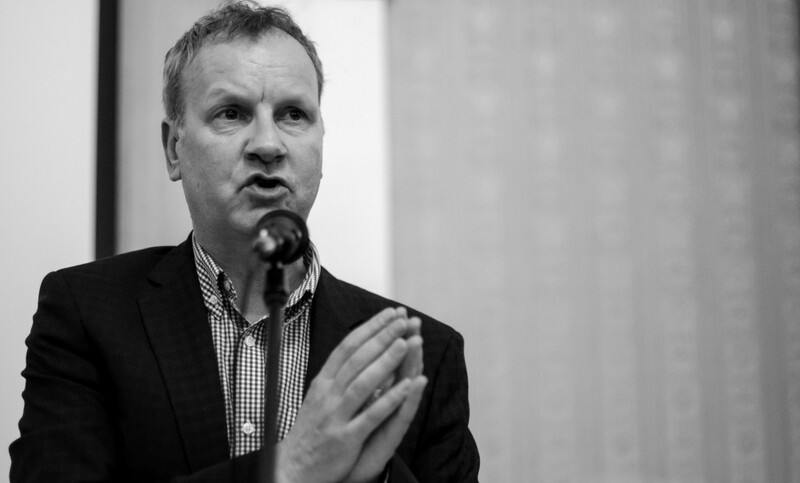 Where there are several police forces investigating individual Conservative 2015 candidates, Pete Wishart MP, has asked the metropolitan police to examine whether the national Conservative Party attempted to subvert the Representation of the People Act by fraudulently including this candidate expenditure as national expenditure. Tens of thousands of pounds were spent on Conservative activists on accommodation and transport in target constituencies, in assistance of particular candidates and local campaigns. This was all subsequently accounted for as ‘national’ expenditure. Speaking today Mr Wishart said. “Where many 2015 Conservative candidates are being properly investigated by a number of police forces across England over their campaign expenditure it is now time for the Conservative Party as a whole to be looked at. “The national Conservative party must address their role in these serious allegations and be properly investigated to see if it systematically subverted the Representation of the People Act. “There is no doubt that the activists, accommodation, busses and other transport were co-ordinated by the party nationally and this was passed of as national expenditure, even though this activity was specifically targeted to support individual candidates. “These are very serious allegations and the penalties for those guilty of election fraud could result in large fines and even imprisonment. There are also concerns that the 2015 election was fraudulently won with a co-ordinated breach of electoral legislation. “I have therefore asked the Metropolitan Police to properly investigate the Conservative Party and if evidence is found prepare a submission to the Director of Public Prosecutions. Enclosed is Pete Wishart MP’s letter to Craig Mackey, Deputy Commissioner of the Metropolitan Police. I am asking you to investigate the Conservative and Unionist Party and its responsible office bearers over the very serious allegations of electoral fraud uncovered by Channel 4. I am asking you to investigate whether there has been a serious breach of the Representation of the People Act 1983. Currently there are some 10 Police forces investigating the electoral expenditure of some 28 Conservative candidates who contested the 2015 General Election. The complaint is that candidate expenditure was accounted for as ‘national’ expenditure in contravention of sections 73, 75, 76 and 82 [of] the Representation of the People Act 1983 (RPA 1983). Where the ongoing cases will take their legal course the Conservative Party as a whole must be properly investigated to ascertain if there was any systematic attempt to circumvent electoral legislation defining candidate and national expenditure. If evidence is found of wrongdoing I am asking you to submit that evidence to the Director of Public Prosecutions. I am asking the Metropolitan Police to investigate because the Conservative and Unionist is located within your jurisdiction and because of the national responsibilities you have to uphold electoral legislation. Thank you for your consideration and I look forward to a speedy response. I enclose a link to the detailed investigation of these complaints by Channel 4. This entry was posted in Uncategorized on May 22, 2016 by petewishart. ONE YEAR ON. THE MAKING OF THE REAL OPPOSITION. It’s hard to believe that it’s almost exactly one year since the new group of 56 SNP MPs made their own colourful and good natured way to Parliament for the first time. In a blaze of rule defying selfies and good humour the Parliamentary authorities and the metropolitan press had no idea what to expect. Some of the press suggested a resumption of Bannockburn hostilities only with chips instead of claymores and words instead of woad. It would be the much predicted ‘Jockalypse’ as the new tartan terror was unleashed on an unsuspecting Parliament. What was to follow confounded all these nonsensical assumptions as maiden speech after maiden speech identified a thoughtful, articulate bunch of people with amazing back stories and incredible ambition. The maiden speeches set a pattern of considered and amusing contributions and quickly set the tone of the new SNP group. There was a huge job to do though, and that was to quickly up-skill the sometimes ramshackle and shoestring operation that had been the minority party of 6 in to the third force of the House. In the past the small SNP presence very much worked as a guerrilla force, standing as tall as possible and trying to make effective strikes with the limited resources available. Now we had to practically re-invent how we did things with the knowledge that such size in numbers brought new responsibilities, scrutiny but more than anything else, opportunity. I will never forget the pace in which we quickly appropriated the comforts of the Liberals with dilemmas such as ‘what do we do with this portrait of Gladstone? Accommodation had to be quickly found for new MPs desperate to get down to work as quickly as possible. In the chamber Labour tried to deprive of us a front bench position to deny us the spotlight in the Parliamentary coverage. This was a war we also had to win, and did, grinding them down in the ‘battle of the prayer cards’. But it was how this incredible resource was deployed that was the key to securing the success of the past year. Angus Robertson devised a plan that had all group members working in policy groups with many having key front bench responsibilities. Meticulously discussing with each new MP their own strengths, identifying a role, a team emerged that has gone on to dominate debate. Some new members would be immediately thrust into a critical front bench position and expected to assume all the responsibilities in an almost sink or swim basis. The result of this approach means that we have developed a skills base and knowledge set unprecedented for a third party. It was taking full advantage of the crises in other parties that was also key. I’ll never forget when I got to my feet to ask to ‘rearrange the furniture’ in the chamber after the latest Labour failure. Deftly sensing and taking advantage of Labour’s many divisions and incoherencies few commentators would doubt that we are now the ‘real’ or ‘effective’ opposition in the House of Commons. Just the prospect of the SNP voting on some issues meant that the Government never even brought divisive issues to the House. As we go forward we now have experienced and established Members of Parliament to rely on quickly setting agendas and dominating discourse. A Labour Party engulfed in a seemingly endless and unwinnable civil war and a Tory Party settling scores after their own EU dispute will mean that our unity and certainty of purpose will now count. If you thought you had seen something special from the Westminster SNP group – you ain’t seen nothing yet! This entry was posted in Uncategorized on May 15, 2016 by petewishart. “Ladies and gentlemen, comrades, members of the press. Today I will make a statement about the future of the Scottish Labour Party. After Thursday’s crushing and embarrassing defeat it is time to review, refresh and look anew at where our great party and movement goes from here. This is our worse defeat for over a century and I can not even start to express how much it hurts to get beat by the Conservatives. Comrades, because of this it simply can not be business as usual. We have to properly assess where it has gone wrong, identify and acknowledge the mistakes that we have made and then vow to put them right. It will be a painful and long process, but if we do not undertake this journey we will be marooned for ever in a hopeless no-mans land without any means of escape. Comrades, our decline has been historic, structural and perhaps even inevitable. It may be convenient to try and blame events south of the border and our London leadership for our defeat but we would simply be kidding ourselves on. It is much more than that. For the past 10 years the Scottish Labour Party has been at least 10 steps behind the ambitions of the people that we were once so proud to represent, and who have now deserted us. We have tried to disparage their ambition, neuter it and hold it back. We stood with their historic political opponents and we were observed with a mixture of contempt and bemusement for doing so. We must never stand with the Conservatives ever again to tell the people of Scotland what they can not do. In the first of the many acknowledgements of the mistakes we have made – let me openly apologise to our former supporters for working hand in glove with the Tories in the independence referendum. Comrades, as we survey the wreckage of our electoral fortunes we have to go further to win back the trust of the people that we were once so proud to represent. As your leader, I pledge to you that we will now consider all constitutional options for the future of our wonderful nation. I pledge to you that I will commission a review of our opposition to independence and if it finds that this is what our nation requires I will support it wholeheartedly and redefine our party and bring it into line with the aspirations of the people we used to represent. It is time, comrades, to put our opposition to independence aside, to look at the national interest and to work for a new and better future for all the people of Scotland. Comrades, the question of the constitution defines Scottish politics and it will continue to define it for decades to come. Quite simply we have to make a choice where we are in this debate. Uncertainty and a wish that it will simply go away will no longer suffice, as we have seen. Comrades, we now have to get on the right side in this debate. The side of the Union is now almost exclusively the prerogative of the Tories; of their Westminster Government and its attacks on the poor and the vulnerable, of their austerity. It was our former communities that rejected that vision, that overwhelming voted for something different, that we effectively ceded to the SNP. Comrades look at the results of the other evening, our most catastrophic defeats were in the areas that voted Yes in the referendum. Our journey to regain their trust will be long and painful but it will begin with being on their side. There will inevitably be suspicion and mistrust and there will be lots of bridges to build but we must engineer a way back to their affections. Remaining a unionist party has almost killed us and we must now resurrect our fortunes by aligning ourselves with our former supporters. It was the Labour Party that delivered the Scottish Parliament. It is the Labour Party that has, throughout the decades, championed the values of social justice and equality. We can build on these fine founding principles in an independent Scotland – an independent Scotland that we can shape according to our values. This entry was posted in Uncategorized on May 7, 2016 by petewishart.